The Cuban-heritage Quintero cigars are handmade in Honduras using rich Nicaraguan and hearty Honduran long leaves under a slick Honduran Cubano wrapper. Earthy, toasty, sweet, and spicy, Quintero parlays a formidably flush flavor profile at an extremely reasonable price. The bang-to-buck ratio on these medium-bodied treats is skewed drastically in your favor, snag your box and take full advantage of the value now! Quintero robusto is an excellent and smooth smoke. Clean and razor sharp burn with no need to relight. Will definitely stock my humidor with these beauties. nice stick. not too mild, not too harsh. 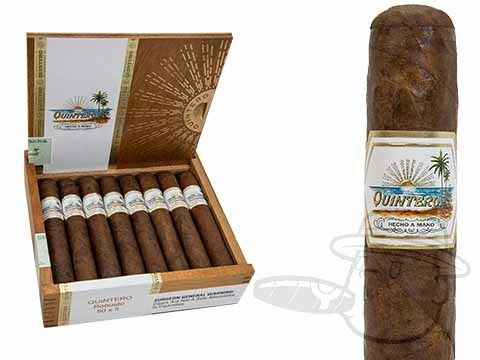 Quintero Robusto is rated 3.4 out of 5 based on 4 customer ratings.